The Dutch institute Sound and Vision (Beeld en Geluid) is adding part of their video collection to the Europeana Fashion project. In order to select specific fashion scenes from their videos, Sound and Vision is using Noterik’s Fragment Tagging tool. 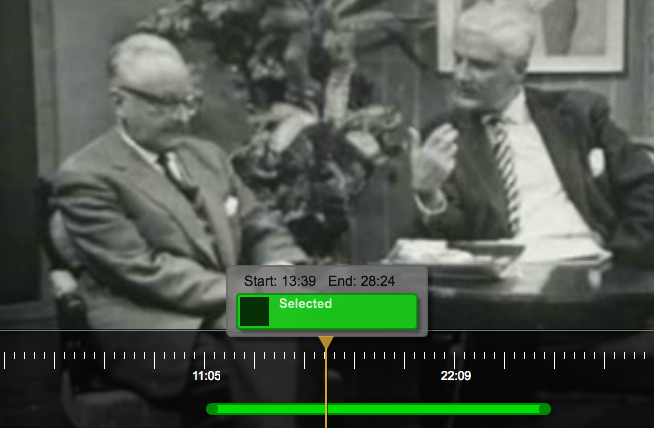 The tool enables the content editor of Sound and Vision to select a specific part of a video, create a unique URL for it and select a thumbnail that can be used to identify the fragment in online indexes such as the central Europeana search engine. More information on our Fragment Tagging tool can be found here.